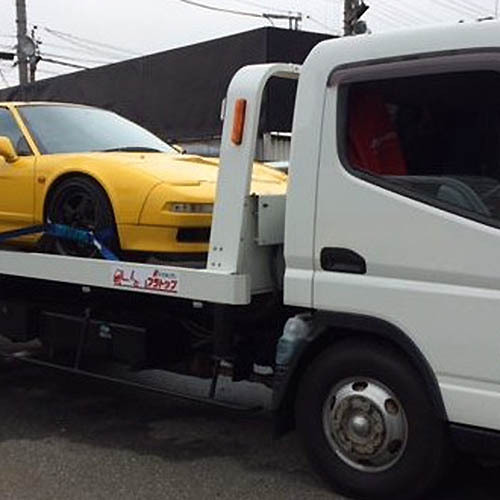 Ronin Imports specializes in importing vehicles and auto parts that are specific to the Japanese domestic market (JDM). Why JDM? The answer is simple: the Japanese have long been producing desirable, innovative vehicles that were never brought to Western shores. Couple in the fact that the Japanese have a strict vehicle inspection system that generally keeps cars in much better shape then any similarly aged vehicle in the US, and you’ve got a recipe that produces prime exports. Our focus is on federally legal Japanese classics, that is, those vehicles that are 25 years or older and meet the criteria for EPA and NHTSA exemption. Our vehicles come with a clean South Carolina title and all applicable import documentation. We are a group of veterans with a passion for everything automotive – that is what makes us happy. We are driven by the car shows, by the community, and by you, the customer. We have taken the slogan we were taught in basic training to heart and embodied that into how we handle our business; with great integrity, impeccable service, and a strive to be as excellent as possible. Jonathan started as a hobby mechanic working to tear up the pavement in his 700hp Ford Cobra. He soon moved on to bigger and better things by doing mission critical maintenance on aircraft in the United States Air Force. 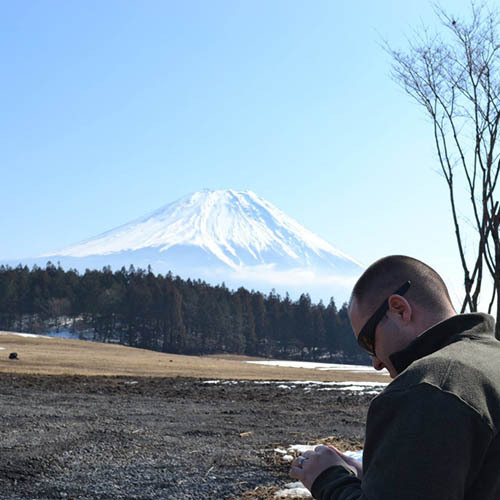 He found himself in Japan with a new found love for Japanese cars when he purchased his first Nissan R32 GTR. Besides hanging out with Japanese women at Tokyo Auto Salon (pictured), he spends his free time enjoying automotive related hobbies. Jonathan heads up the location, inspection, and sales of the majority of Ronin Imports parts. Patrick has taken a break from worldwide travel, and instead has focused his efforts into importing desirable vehicles into the United States. His expertise allows him to oversee the importing and exporting of vehicles as well as all related sales and financing. Zack also started as a hobby mechanic and quickly advanced his skills to include metal fabrication (TIG and MIG) and custom ECU tuning. After working professionally with automotive enhancement, he too moved on to doing mission critical maintenance on aircraft in the United States Air Force. 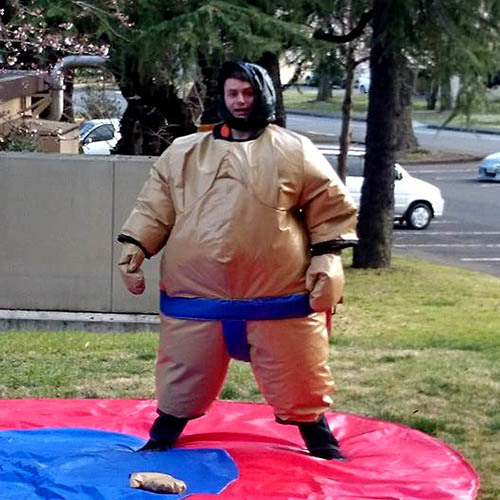 If he isn’t working with electronics or fabricating custom parts, he wears his sumo costume (pictured) to scare away rust during inspections. His expertise puts him in a position to work on custom projects as well as the location and inspection of parts and vehicles. Peter, our Australian mate, has been working with importing and exporting cars since 1995. He also started as a hobby mechanic and moved to Japan simply to avoid the astronomical prices of the NSX in Australia. His pride and joy, until being recently sold (sad face), was his Acura NSX Type-R. He has been nicknamed by our team “JDM Pete” because of his love of Japanese vehicles. You may have noticed that Peter has no email address. Why is that? No customer interactions! His expertise places him in the ideal spot to work with import/export paperwork as well as the location and inspection of vehicles.